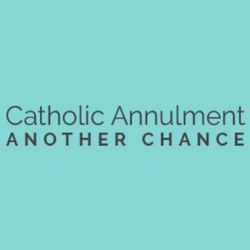 Catholic Annulment - Another Chance We specialize solely in Catholic annulment preparation services. Just as you would use civil lawyers when applying for a civil divorce, we give you the opportunity to work with church lawyers who are also active and former church judges. If you hope to remarry in the Catholic Church, why not utilize experts? All of our professionals have advanced degrees in theology and church law, as well as vast experience as church judges. We are women and men who collectively have judged thousands of cases and have served for decades in church courts throughout the United States. Experts in the field of Catholic annulments, we provide you with individual, annulment assistance, help and guidance. The advantages are many: -By getting things right from the start, we can save you months of time during the actual annulment process. -We focus the presentation of your marriage and divorce experience in a clear and concise manner. -We offer you the advantage of specialized knowledge because we know what the Church will be looking for in your annulment application. -We help you utilize church law to your particular case. -We can usually have your annulment request ready within 30 days. You receive a comprehensive annulment request. We do most of the work!